It's Poetry Friday! It seemed only right to dedicate today's post to Valentine's Day. It is February 14th, after all, which makes today the perfect day for poetry. Stop by TeacherDance where Linda Baie is hosting today's event. Yesterday our class celebrated Valentine's Day. I had to smile at my students as they were so excited to share Valentines with their friends. Ah, to be six. Thank you, Linda. It was fun to write. I just always have to smile as I watch the students pass out their valentines and excitedly read the cards from friends. Beautiful arrangement, Cathy, & best reading motivation ever for the kids, those little rhymes and sayings, reading names. How excited they are. Glad you didn't get snowed out like some! Happy Valentine's Day! "Best reading motivation every." --- so true! Lovely poem, brought back happy memories! 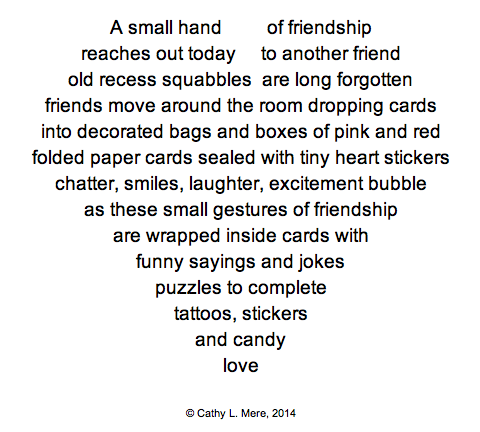 You certainly did capture the essence of classroom Valentine's Day celebrations, Cathy! And your heart shape is really well done too. I agree with Amy. It has captured the energy and vibrance of what it's like to be in a classroom during Valentine's Day. Love the heart. Awww! You picked a great format for conveying the excitement of the moment. 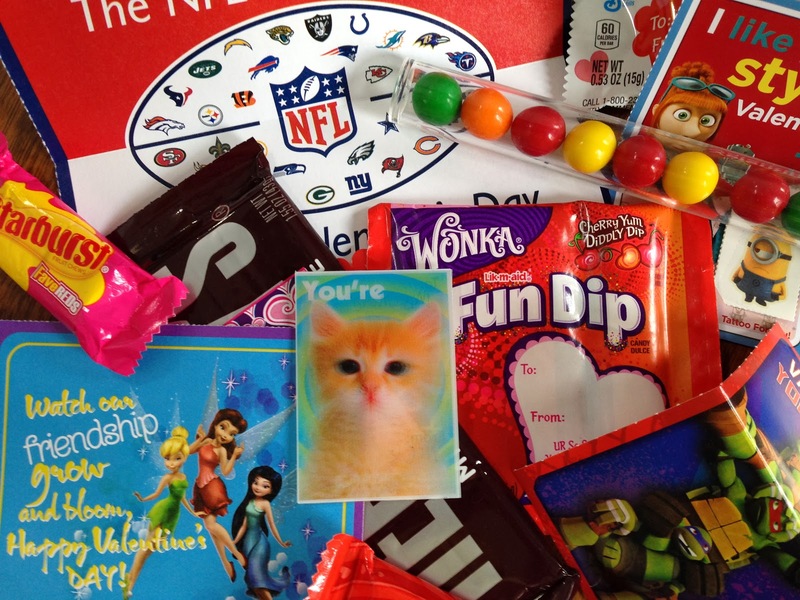 "Candy love" -- that's what it's all about for kids, isn't it?!?! I am in awe of your ability to step back from the chaos of the classroom and see only the perspective of a six year old child, beautiful! Slice of Life: What Are You Doing About It?